Backpacking season is here, and it’s time to start planning out your summer backcountry trips. US national parks are among the most beautiful places for backcountry hiking and camping — and also the most popular. To control crowds and properly prepare trekkers for the hazards of the wildlands, the National Park Service requires backcountry permits for camping outside of developed campgrounds. If you’re ready to venture beyond car camping and RV hookup sites, here’s everything you need to know about getting a backcountry permit to camp in US national parks. 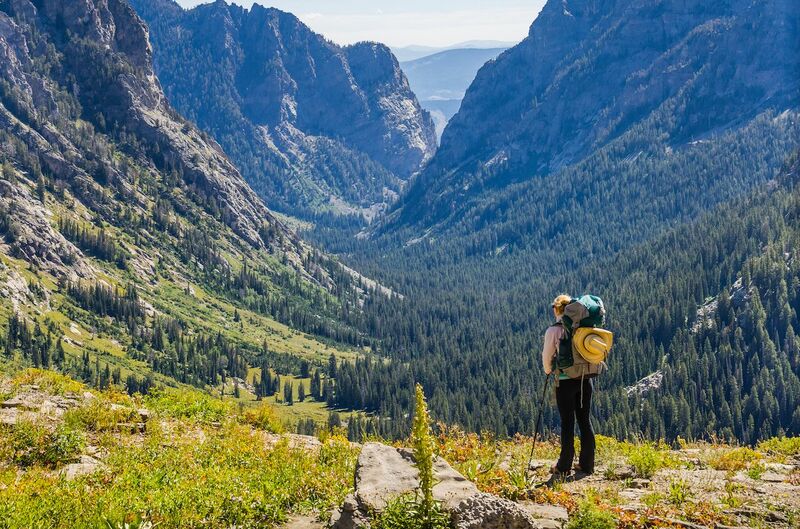 The first step to obtaining a backpacking permit, or any other type of permit, for US national parks is to familiarize yourself with the website Recreation.gov. Here you’ll find a detailed map containing permit requirements for national parks, national monuments, and other federally operated public lands that require prior authorization to venture into. Backcountry permits are generally required for camping outside of the drive-in camping lots. Additionally, certain activities like rock climbing and ice climbing almost always necessitate a permit of some kind. This varies by the park, so always check with the specific park you plan to visit in advance to see what their requirements are. Keep your permit with you while in the backcountry, and be prepared to show it if you come across a ranger. A handy trick among veteran backpackers is to pin their permit onto their tent once they’ve set up camp, so as to immediately state their legitimateness and fend off any unnecessary questioning. Also, keep in mind that even though you’re in the backcountry, most parks still have designated camping areas. Don’t plan to throw your tent up on the side of the trail whenever you get tired. There may not be anyone around to enforce this policy, but you’re a total jerk if you don’t follow it. Note that your permit is only valid for the number of people registered at the time of issue. If your crew grows by a person or two before the trip, you’ll have to pay an additional per-person fee to add them to your permit — and there may not be any more space available on the days you have chosen. So plan your trip in advance, get confirmations from everyone who is going, and refrain from sending out that last-minute text to friends who were on the fence when plans were made. They’re either in or they’re out. In winter, permits are still required in most situations where they are in the summer — though you generally don’t need the advance reservations common in summer. You will, in most cases, pick up your winter wilderness permit at the same permit station inside the park you visit. Yosemite and Zion national parks are bucket-list destinations for many rock climbers. 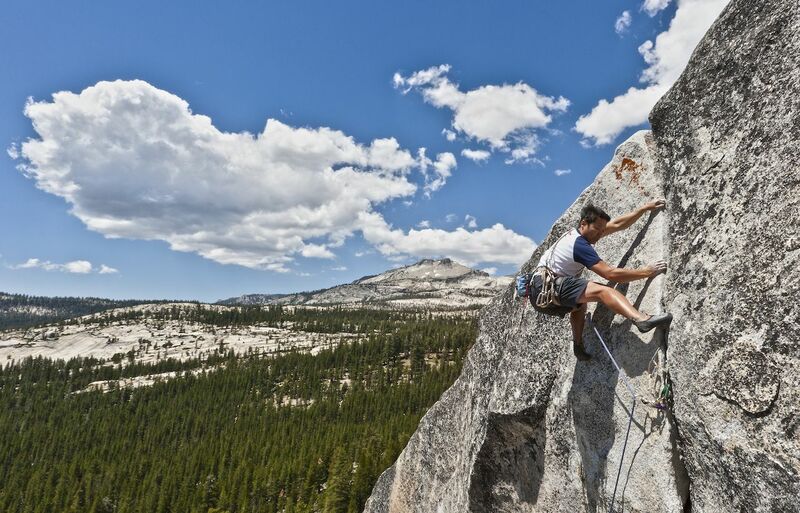 Because of their popularity and the inherent risks of rock climbing, both parks limit the number of people who can climb in the best-known spots each day. Camping at the Half Dome base requires a general backcountry permit. In Alaska, Denali National Park does the same for its most sought-after climbs, including Mount Foraker. Because of the hordes of climbers Zion sees each year, the Utah park implemented a Zion Wilderness Express membership program for frequent visitors. It’s free, valid for three years, and can be obtained by visiting the Zion Canyon Wilderness Desk inside the park. A permit is not required for day climbs, but is for all overnight bivouacs and costs $5. You can reserve your permit up to three months in advance to ensure your spot, or take a chance on the 33 percent of daily permits made available the day before they’re valid. If you plan to come in the summer, don’t bank on these being available; make your reservation in advance. As noted above, a backcountry permit is required for overnight camping throughout the national park system. Some parks offer permits for specific trails or sections of the park, and you should check the website of the park you want to visit during your planning process for availability on the most hiked routes. If the early season permitting has ended, remember that there are walk-up permits issued at each park. If you are flexible in your plans or willing to take alternate trails, your odds of landing a permit are much higher. Here are the general permitting processes for six of the most-visited national parks. The rest of the parks in the system have similar, often identical, processes to one of these parks. So many people are following John Muir and answering the call of the mountains that California’s Yosemite National Park was forced to implement an Exit Quota System that limits the number of people on the John Muir Trail and separates them from general backpackers and trekkers in the rest of the park. If you want to hike from the trail’s Northern Terminus and are flexible on dates, you can apply for the lottery system through the Yosemite Conservancy. 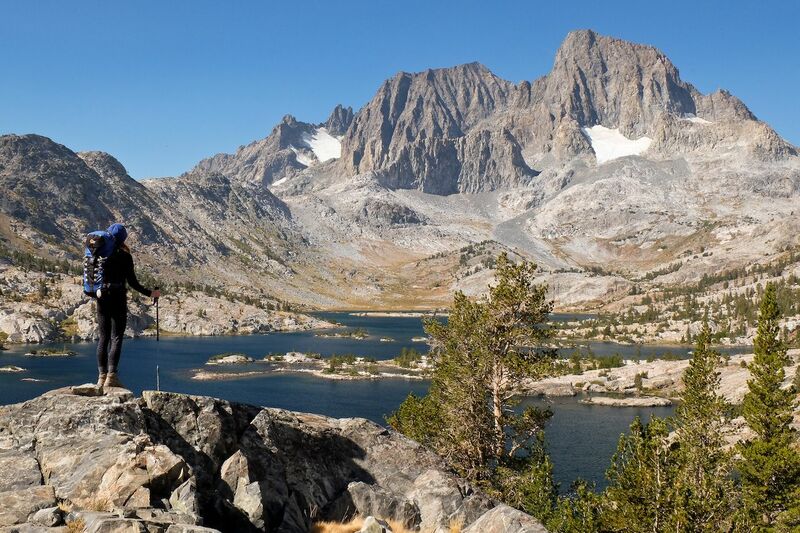 Permitting for the John Muir Trail requires you submit your application at least 168 days in advance of your trip, and even then, the approval rate hovers around three percent. That said, the trail is accessible via trailheads outside the park managed by other agencies who have their own permitting processes, often not quite as stringent. A general backcountry access permit is required for all backcountry trails inside the park. The park grants 60 percent of these permits through advance applications received 24 weeks before your intended start date, awarded via a lottery system during busy times. Hiking Half Dome requires a separate permit from the John Muir Trail permit and general backcountry permit, despite being doable as a day hike. The preseason lottery is open throughout the month of March for the forthcoming summer season, with an additional 50 individual day permits being granted on a rolling basis to walk-ups. 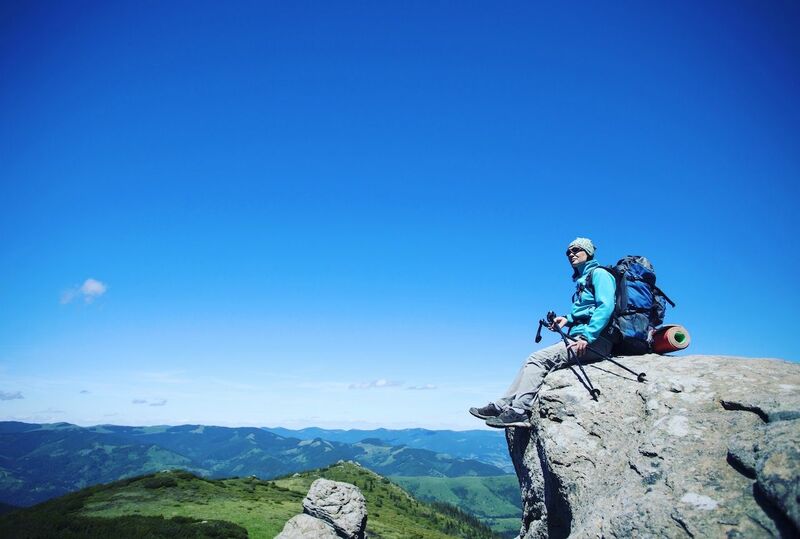 Because of the nightly reservation process, and in order to help new trekkers become accustomed to the backcountry, the application process requires you to submit start-to-finish plans for your trip. Veer off-route and you’re likely to find yourself up the creek without a paddle because the other groups out there in the backcountry are likely following the itinerary and will have reserved the spaces at forthcoming campgrounds. Part of your trek here is likely to cross the Appalachian Trail, and it’s important to note that the permit for backpacking in the park is separate from the through-hiking permit required for trekking the Appalachian Trail. Grand Teton National Park has a similar setup to Yosemite for its popular Teton Crest Trail. The Wyoming park awards one-third of its total annual summer permits in advance, beginning the first Wednesday in January. The remaining permits are available by walk-up at the permit desk in the park and are available one day in advance. The ranger will sit your group down and play you this fine video about the park, and what you’re getting yourself into, before issuing the permits. To apply for a permit, visit the dedicated page at Recreation.gov. Reservations are taken between mid-February and mid-May for the summer season. Grand Canyon National Park in Arizona is the second-most visited of any in the system, behind only Great Smoky Mountains National Park. 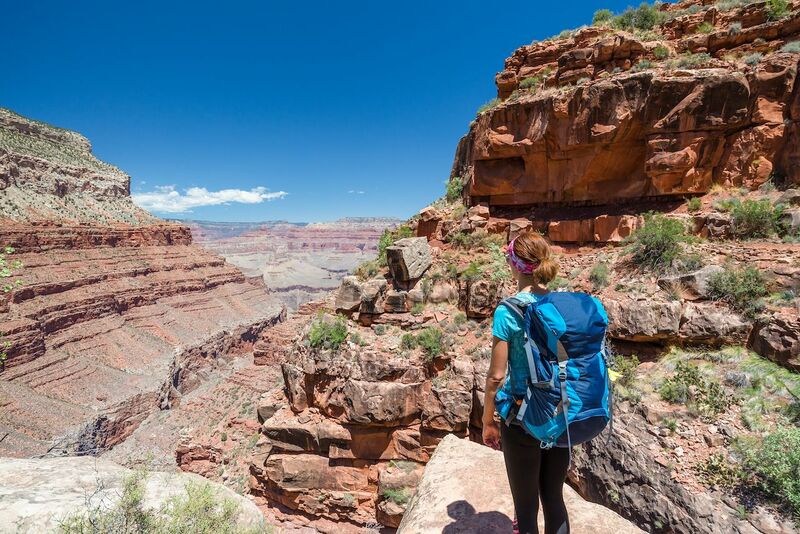 As you can imagine, the scenic viewpoints tend to get backed up from spring through fall, and the park attracts a hefty amount of eager backpackers looking to get below the rim. All overnight backpacking and camping, beyond the designated campgrounds, requires a permit obtained from the park’s Backcountry Information Center. The center begins accepting applications 10 days prior to the first of each month, for the four months ahead. Re-read that sentence just to make sure it sticks. You likely won’t get a permit applying for a trip coming up in two weeks. April to May and September to October are the busiest times, and your odds of obtaining a camping permit are greater outside of those times. Fill out a permit request form to get the process started. The park’s popular Phantom Ranch lodge, located at the bottom of the canyon, awards overnight permits via a lottery system. 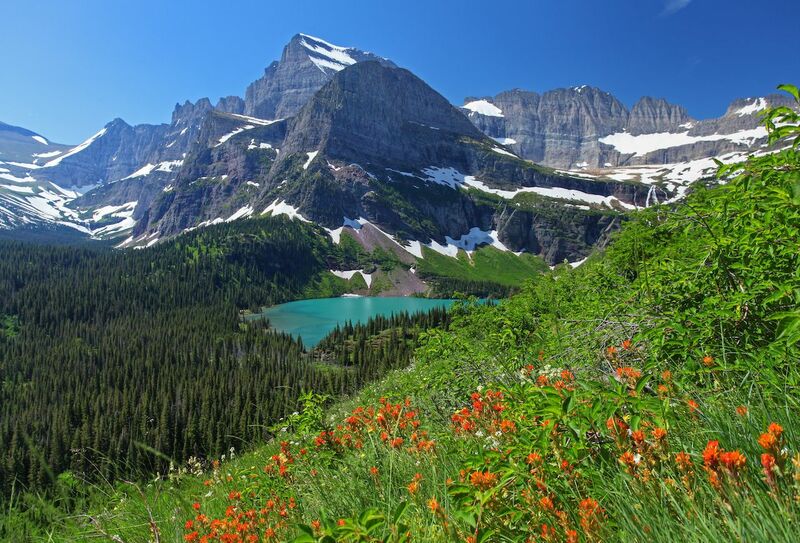 Glacier National Park has extensive backcountry trail systems which access a total of 65 different campsites. Reservations for this Montana jewel open on March 15 for trips between June 15 and September 30, though weather conditions tend to allow some campsites at lower elevations to open earlier than others. While the massive amount of trail mileage and high number of campsites can accommodate a lot of people, Glacier sees nearly three million annual visitors and isn’t fond of large groups. It issues only five permits each year for groups with more than eight people. The good news is that the lack of larger groups makes more room for small groups, and applying for a permit is generally a successful endeavor if you get in early because it fills 50 percent of the season’s permitting through its website. The other 50 percent of permits are issued to walk-ups. Once approved, the park will email you a confirmation, which contains info on picking up your permit once you arrive at the park. Unlike some other parks, Glacier does not mail permits out in advance. 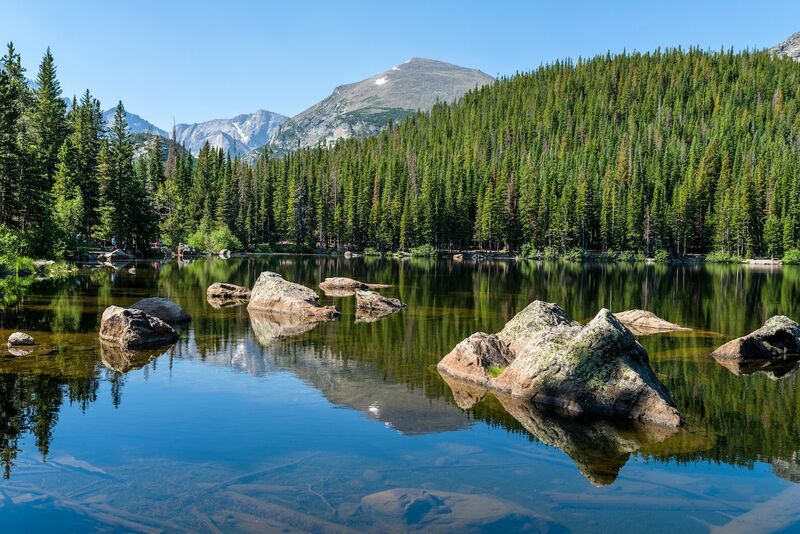 Colorado’s Rocky Mountain National Park is the third-most visited in the system, clocking roughly 4.6 million annual visits. However, the vast majority of these visitors drive the Going-to-the-Sun Road and maybe do a quick day hike, leaving the expansive high country wide open to those willing to work a bit harder. Apply for a permit in advance of your trip and pick it up at either the Beaver Meadows Visitor Center or the Kawuneeche Visitor Center when you arrive. 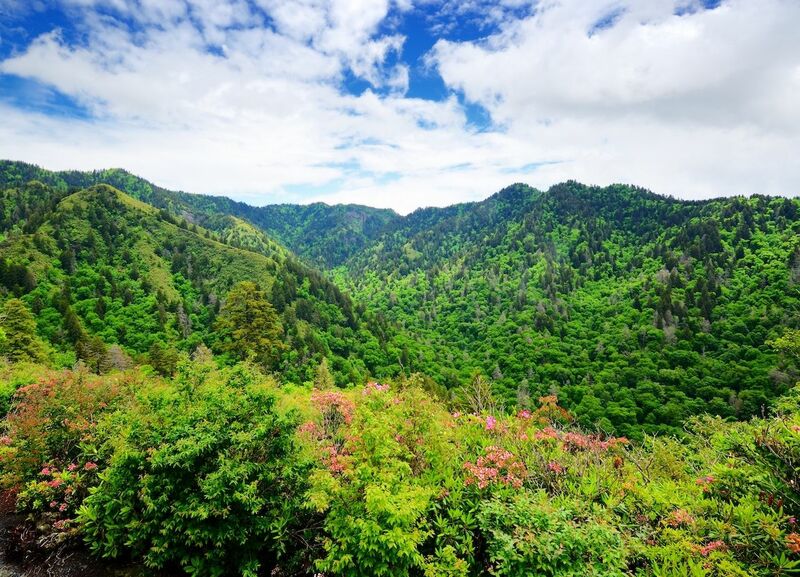 The reservation application allows you to reserve specific campsites, providing backup options in case your first choice is booked on your trip dates.